AIM Solder, a leading global manufacturer of solder assembly materials for the electronics industry, is pleased to announce their donation of solder paste materials for training at the CENALTEC High Technology Training Center in Chihuahua, Chih., Mexico. CENALTEC High Technology Training Center is an education facility that offers training courses and skills development programs for technicians in various fields of manufacturing. AIM Solder recognizes that proper training is the foundation of industry expansion and advancement. AIM’s commitment to providing free paste for the training platforms with CENALTEC enforces their assistance in bringing well-trained leaders into our industry. 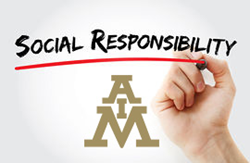 AIM Solder has an aggressive program to support communities throughout the world, including efforts to promote environmental sustainability, philanthropic initiatives, ethical and conflict-free labor practices, and education. AIM reaffirms its commitment to this important market by contributing to development of future engineers of Chihuahua and throughout Mexico.